Wholesale Supplier of a wide range of products which include led and lcd tv wall stands. Our firm is consistently engaged in the trading of LED and LCD TV Wall Stands. 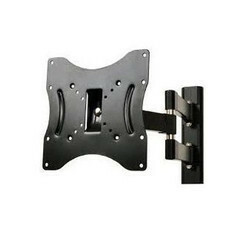 These wall stands are widely used in residential areas and hotel rooms to put the TV hanging on the wall. Our stands are easy to fix on the wall and favor easy lift up the high load of the television. Having precised size and durable frame these LED and LCD TV Wall Stands are reliable to the users.